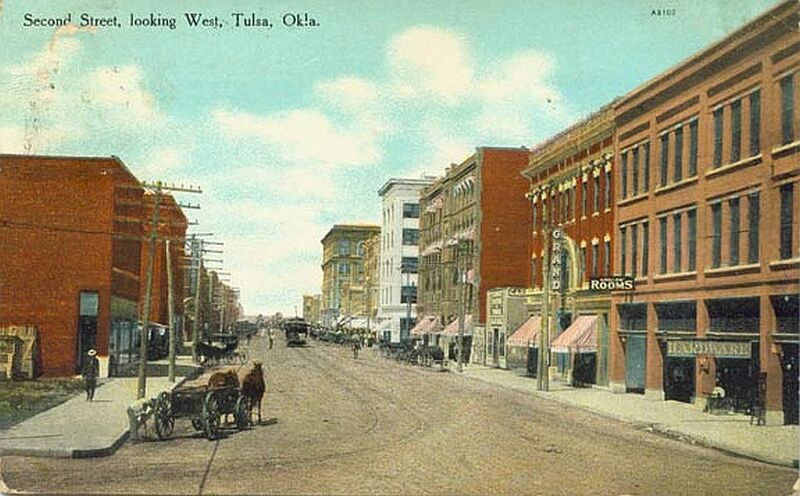 In 1902, the first Jews arrived in Tulsa, mostly Latvians. Simon Jankowsky opened Palace Clothier in 1904 and stayed in business until 1943. Sylva Goldman was an early businessman. Leo Meyer was the state’s Secretary of State (1907-1911) and State Auditor (1911-1913). 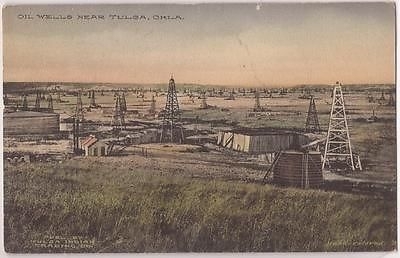 The Aaronsons, Julius Livingston, the Travis brothers, and the Finston brothers all worked in oil business. A minyan (prayer quorum) was established in 1903. Congregation B’nai Emunah was founded 1916 by Jews of Latvian descent as an Orthodox synagogue. Emanuel Synagogue, a Conservative congregation, was founded in 1904. Temple Israel was founded in 1914 as a Reform synagogue. Temple Israel held its services held in the Elk’s Club and the Ohio Building until 1916. The congrgation’s first rabbi was hired in 1917. The first building was erected in 1919, and the second in 1932. 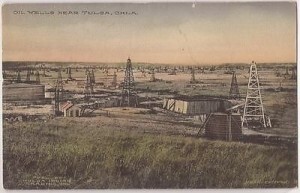 Tulsa’s Jewish community also had a Mutual Aid Bank and a Hebrew Free Loan Society. In 1938, the Jewish Community Council of Tulsa was founded to raise money for relief overseas. Henry J. Tobias, The Jews of Oklahoma (University of Oklahoma Press, 1980). Regina Merwin is curator for this Tulsa exhibit.